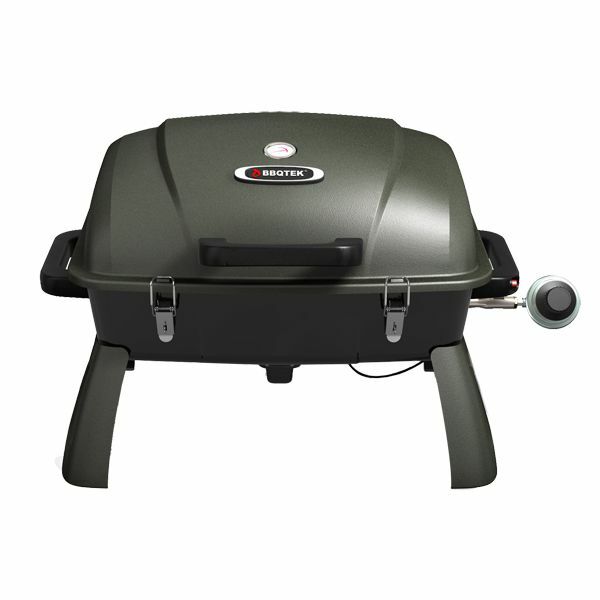 Get a portable grill that has supreme cooking capacity with the BBQTEK Portable Gas Grill. Easy to transport, this BBQ features a 234 square inch cooking area in a compact package and easy to move package. Some assembly required. Portable Gas BBQ Get a portable grill that has supreme cooking capacity with the BBQTEK Portable Gas Grill. Easy to transport, this BBQ features a 234 square inch cooking area in a compact package and easy to move package. Some assembly required.